Synopsis: The inhabitants of a doomed world are pinning all their hopes on a final, desperate gamble for survival. The Doctor must discover the true nature of the final enemy - but that enemy may simply be fear itself. Solidly entertaining, well thought-out and nicely executed by Robert Smith? Oh my gawd. Another Bulis book. My expectations for this weren't just low, they were rock-bottom. I mean, this is the author of The Ultimate Treasure, for crying out loud. Of course he's not the worst author to have written a Doctor Who book, not by a long way. His plotting can actually be quite clever. Why then does the poor fellow attract such derision? After reading City at World's End, I think I have the answer. Bulis doesn't do subtext. Every scene is what it seems to be about. Hidden subtleties are absent, as are double meanings in the dialogue. Characters are either liars or truth-tellers, without deeper shades of motivation. To say 'I love you', they would say "I love you". Laudably direct, perhaps, but I think this is what's behind the common criticism that Bulis's characterisation is stereotyped. Someone who only says what they mean isn't going to come across as having much depth. Humour will also struggle. Even at their best, Bulis books have generally been rather earnest affairs, one-dimensional in a rather square-jawed kind of way. This is a shame, but let's now go on to discuss Bulis's good points. If he had no redeeming qualities then he wouldn't have been commissioned to write ten Who-related books, and IMO City at World's End is actually rather impressive. Writers who struggle with characterisation sink or swim by other qualities. In the case of Chris Bulis, it's plot and ideas. When they're good (Sorceror's Apprentice) then the resultant book is good too. When they're fatuous (Twilight of the Gods, Ultimate Treasure) then it's almost unreadable. The plot of City at World's End is very good indeed. In high concept it's not unlike the movie Armageddon, or even Venusian Lullaby. Doomsday is coming and a planet will die. That's it. What more do you need to know? The impending disaster is described with all the stark strength that one could ask for, rendering complex characterisation almost irrelevant. No one went to see the latest Bruce Willis blockbuster in search of exquisite Jamesian subtlety. No, we wanted big explosions and death-defying courage. Action sequences aren't the forte of novels, but the same principle holds here. In fact it's the same formula used by Steve Lyons in last month's The Final Sanction. Huge moral questions and impending planetary destruction fire both novels. Lyons may be able to do characterisation, but then again the plot of City at World's End is considerably more involved. (It's longer!) In fact it has many of the virtues of a Justin Richards novel - excitement, danger and more twisty turns than the devil's corkscrew. Directly comparing the two books is completely unfair of course, but I'm going to do it anyway. The Final Sanction doesn't contain unintentionally comic characterisation, but I actually found City at World's End to be a more satisfying read. The novel's greater length drew me more fully into its doomed world. As destruction came ever closer, I was genuinely gripped by the tension of the final eighty pages. And the ending really works too, unquestionably the best that Chris Bulis has ever written. I've knocked aspects of this book, but I also feel that its strengths outweigh those weaknesses. If you know what level on which you're meant to be enjoying it, then you could do a lot worse. Christopher Bulis is not one of those authors that sticks in my mind. To me, he doesn't have the distinctive name or style of a Terrence Dicks or Jim Mortimore or Kate Orman or Paul Cornell or Lawrence Miles or John Peel or Steve Lyons or Dave Stone or *gakk* Paul Magrs or *yawn* Paul Leonard. When I hear Bulis' name, I go "Hmmm, what did he write, and what do I remember about his style?" and I come up with somewhat of a blank. Since I've got a pretty good memory, I eventually remember Virgin's MA The Sorceror's Apprentice (which I always considered a bit overrated anyway). There's no one reason I really remember his name. But I look through the other Past Doctor Adventures books with his name, and I draw a blank when trying to recall all but the most significant details of his various books. So looking over the list of his works, I would have to say that City... is probably Bulis' best work to date. It's a good Hartnell story. It doesn't try to do anything incredible innovative with the concepts of the Hartnell era (unlike, say, The Witch Hunters or, to a lesser degree, Salvation). I suppose that makes it "been there, done that," but there are times when I'm in the mood for a well-written story of that nature. City... is "big budget," but when reading Hartnell stories (and pre-4th Doctor stories in general) I'm more interested in reading interesting characterizations and clever plot twists and turns then "Whee - what can I do to retcon the Doctor or the era this time around". City... has those two items in spades. The 1st Doctor is seemingly spot on. He's by turns abrasive, apologetic, condescending, concerned, superior, reassuring, and deductive. The latter is an aspect I often find absent in earlier Doctor DW novels, although it was often stressed in the televised stories. The 1st Doctor is not the third, who would probably whip out his tricorder-like gizmo and go, "Aha, there's the problem - now my sonic screwdriver!". Watch The Aztecs, Dalek Invasion, or Tomb of the Cybermen and see what I mean. Susan is interesting, without being too out-of-step with the TV episodes (another problem I occasionally find with her novelization appearances that try to make her into something she could have been, but wasn't). For spoiler reasons I won't go into, her characterization is particularly interesting and also nicely done. Ian and Barbara are...okay. Barbara doesn't seem to have a lot to do here. As for the story itself, it's an interesting presentation of a civilization on the edge of destruction (or is that the brink of disaster?). It's an interesting four-tiered society, not too foreign that I felt disconnected (no eight-syllable apostrophe'd weird names, recognizable human types). The story does have a lot of twists and turns, and several of them caught me off guard. Some of them are obvious to the reader (there's obviously something wrong with one of the main characters, based simply on how the story is written from differing viewpoints - can't go further without spoiling), but some of the last-minute revelations are indeed startling. Some are telegraphed, some may not be, but at least I feel tempted to go back and look to see what I missed. I don't feel they were tossed out of left field. Overall, I'd recommend City... It's nothing incredibly innovative for the Hartnell era, but it kept my interest. To be honest, I'd put off reading this book, simply because of the author's name on the cover. While we have to slog through the boring EDAs to get to the interesting ones, the PDAs can be skipped around with far more latitude. I thought this would be a drawn-out exercise in tedium. I'm very pleased to say that it's anything but that. This is the first Chris Bulis book to reuse a Doctor and I have to say that I appreciate the extra time taken on this one. With a tendency to just churn them out and cycle through all the Doctors, it's a pleasant surprise to find that this book turns out to be rather good indeed. I remember now why I enjoyed State of Change so much -- when he tries, Bulis can actually be quite good. Here, he's really played to his strengths. Vanderdeken's Children showed that he could handle a complex plot quite adeptly and here he tackles one that feels rather too full for the book. With multiple factions, political intrigue and a decent portrayal of a civilisation just barely managing to hold itself together, he's written a book that nicely juggles all these elements without feeling too full. And best of all, it comes together very satisfyingly at the end. The regulars are quite well drawn. For a while I thought that Susan was a bit underdone, but this gets redeemed at the end. It's interesting seeing the original crew split up along gender lines like this and they all feel just right. The others don't fare as well, but Bulis has stopped pretending that he can contribute anything worthwhile in this department. Indeed, the only character who threatens to actually be developed turns out to be a < spoiler > in disguise anyway. I suspect someone with a sense of humour has been feeding reviews of these books into the Automatic Bulis Book Generator. The ending is lots of fun, as the plot twists and turns quickly enough to keep us interested. Monitor seems a bit tacked-on until he manages to turn around and surprise us. There's a distinct lack of Chekov-Gun-like foreshadowing -- and I have to say that it works a treat. Had we been subjected to a clumsy paragraph describing the legal definition of the city, we'd have spotted the plot twist a mile off. Similarly, the behaviour of certain characters never needs to be anything other than natural all along and the revelations still work. I've always thought the scale of Chekov's Gun was usually misinterpreted by most authors anyway. I think that goes a long way to explain why a lot of recent books have felt far more leaden than they should have. With so much Who output these days, it's hard not to see the patterns and second-guess where everything is going. It's to Bulis's credit that this didn't occur here. The plot matches Justin Richards for inventiveness. City at World's End is enjoyable from start to finish. It's good, solid, entertaining fare that does everything right and doesn't make any major mistakes. You could definitely do a lot worse. Like a lot of people, I think, I have a big soft spot for the original TARDIS crew, and have done ever since the early 80s repeat of An Unearthly Child.  So I like to read new stories about them now and then, but they tend to be a difficult group to write for: the dynamic between them is so different to that which existed in almost all the subsequent regular line-ups that they don't fit into the structure of the 'typical' DW story very well. The early Hartnell Doctor is motivated more frequently by curiosity and self interest than by his sense of justice, with Ian and Barbara the instigators of many of their adventures. Furthermore, the series mythos as we know it didn't inform the original stories, whereas it inevitably hangs over their (ahem) new adventures. This can be awkward: references to the Time Lords in Hartnell stories jar terribly. So it's a great relief that Christopher Bulis' City at World's End manages to present the original crew as seen on TV without making them seem in any way quaint or archaic, and also tells a pretty good yarn at the same time. It follows the formula of many a Hartnell story, in that the TARDIS materialises days before an epoch-marking event, and before they realise the graveness of the situation the crew are split up and barred from the safety of the TARDIS. Rather than a historical event, Bulis opts for an SF one in the shape of a planet-busting catastrophe. The atmosphere of impending doom this instantly provides is one of the book's best features (that said, the knocking off of plots from 50s B-movies isn't a terribly Hartnell-era-ish thing to do, but he gets away with it). No-one, surely, would argue that Bulis is a great stylist as an author, but his straightforward prose and characterisation serve his straightforward adventure perfectly well. The profusion of subplots that the story erupts into do seem at times to be getting away from him, but he wrestles them all back in for the climax with only a few unsatisfactory threads left hanging (one of the travellers gets brainwashed, but never actually learns why they've been acting so strangely). Bulis also manages to refer obliquely to elements of the series' future mythos without disrupting this story. On the other hand, the book has about three totally different villains, none of whom really captures the imagination. The nudge-nudge-wink-wink references to Planet of Giants which pepper the ending (itself, faintly unfocussed and anticlimactic) are also wearingly fanboyish. But I enjoyed City at World's End a lot. It's meat and potatoes stuff, with nothing especially new and lots of things you'll have seen many times before (if I see one more DW story depicting the Church as fanatic, tyrannical bigots...), but the regulars all get to do their thing, the first Doctor is on particularly fine form and the mysteries scattered throughout the plot are rather engaging. Not an earth-shattering read, but good fun. This book came at precisely the right time for me. You see, I was starting to get a bit disillusioned with the BBC books, after the tediously dull Heritage and the could-have-been-much-better Mission:Impractical and the severe LACK of EDA on the shelf this month I was starting to feel a little peeved. What a fabulous book this is. Practically everything about it impressed me, including the stunning cover. I am now in two minds whether to listen to those Bulis haters out there anymore! What he did with this book was a miracle. He didn't try and gobble up as much continuity as possible, a PDA nightmare I've faced many times. He didn't try and write a rad book that stretched the limits of the format and made me look at the show in a whole new way. No, he did what I feel the PDA's should do much more often, simply take an era and captured it perfectly and write a solid, entertaining book around it. It shouldn't be a miracle but considering the extremes writers are going to these days to write PDA's (the high gore of Combat Rock, the woeful mischaraterisation of the Doctor in Warmonger turning the fifth Doctor into some kind of monster!) it is refreshing to read some of these older PDA's that still have their feet on the ground. It's a concept I've been fascinated by for years... if a people were told their planet was about to be destroyed what would reaction be? How would you react to the news that you will die? What if there was a possible means of escape? What lengths would you go to to ensure you did survive? Would you kill? These questions are raised in City at World's End to great effect. The disaster story is plausible and ever threatening and Bulis plays up the 'disaster movie' atmosphere with real style. It helps that Arkhaven is an incredibly detailed world. It's been a while since I've read about a planet so well thought through and told with such economy that the reader doesn't feel as though he is being spoon fed details. The factions... the Elite, the Church, the NC2s, the Taklarians... they were all given a major voice, one character who allowed us to explore their beliefs. I espeically liked Forstel, the head of the Church. What a slimy and unlikable character he was! I grew instantly fond of Ben Lant and Nyra, I was quite shocked at how their plot ended. Even better where the deceptions and mysterties everywhere. Why are the empty buildings lit up as though people were still using them? Why are there two Susans in the book, with one Susan in one scene and another in the scene directly after? What is the secret behind the ship? This is one of those books which is obviously leading to a climatic event, the destruction of Arkhaven, so naturally after such a build up you WANT to find out how things end up but City at World's End also has numerous intruiging mysteries that are left unsolved until the final few pages of the book. I for one tore through the last fifty pages with much excitement. There were a number of interesting twists, one which I saw signposted a mile off (involving Monitor, the computer system) but there were still several moments that got me, especially the final climatic lift off with the ship. When I discovered just who survived, I was gob smacked. Bulis clearly loves the First Doctor. Which is great because I love him too. I think Hartnell's interpretation translates well to print, a lot of his performance was in his mannerisms and speech (Hmm? What was that my dear boy? Oh do keep up there's a good fellow!"... you see how easy it is mimick the 1st Doctor?) which Bulis captures brilliantly. His abusive behaviour towards Susan and his later apology was priceless, I love how irrational he can be, how quickly his temper flares up and then later when he has thought things through he realises how horrible he has been. Buils also captured his wonder and deductive skills perfectly. I could see Hartnell at work on this story. Ian too was well done, his concern for Barbara was oh so apparant (they're in love I tell you!) and his strength of character at holding together even when things seem to go from bad to worse to impossible was admirably written. Susan and Barbara are a little neglected but Bulis caught their voices well. Barbara's desperation to stay alive was brilliantly written, there was one chapter concerning her escape from the wreckaged building that kept me frozen with suspense. A strong plot, good characters, a healthy dose of action and suspense and a fabulous climax, yes you could say this is the best PDA I've read in yonks. I'd place in the same league as The Witch Hunters and Face of the Enemy for it kept me as interested as those two, possibly more so. The fact that it is somewhat of a neglected jewel means I shall treasure it that bit more. City at World's End is a First Doctor adventure featuring Ian, Barbara and Susan written by Christopher Bulis. Unlike others, I have enjoyed all of Bulis' novels to date so was looking forward to this one. The premise of City at World's End is that a planet is on the brink of destruction as a moon, flung off course by an asteroid hit, is due to collide. The city is building a rocket ship, but it's only big enough to hold a select slice of society and the remaining "dregs" are herded into camps presumably to stop them from sabotaging the escape plan. The TARDIS crew arrive and quickly get separated during a meteor shower that also buries the TARDIS under a load of rubble. What follows is an interesting tale of a city on the brink of its destruction and the dangers of allowing a class-based system to run rampant, with plenty of plot twists and turns. What really impressed me about City at World's End was the characterization of the regulars. Back in Season 1, this story wouldn't have had a hope in hell of being made due to budget constraints, so it's nice to see the TV characters we know in a totally advanced society. Keeping with the era, the Doctor is in selfish mode to start with, insisting on exploring when his companions don't want to. When the exploration leads to physical harm coming to his friends and the loss of the TARDIS, he becomes very remorseful. The First Doctor was always a man of words and not actions, and this is hammered home with his psychological ways of getting what he wants without having to lift a finger. Ian and Barbara are both true to the era as well, with Ian a bit hot-headed yet intelligent and Barbara the damsel in distress, but one you can't help but think can take care of herself. Susan is the only regular drastically different from the TV era, with her being shown to be far more worldly-wise and explicitly mentioning her Time Lord biology, something which was only really hinted at on screen. The remaining cast are sadly fairly pigeon-holed. The concept of the society is different classes, and obviously each class is exactly as you'd expect. The elite are hoity-toity and relying on the family name, the church is more concerned about spiritual matters and the NC2's (the commoners) are treated like crap. The trouble with this system is that everyone from that class fits that class and tends to merge into one. This isn't always a bad thing, but you don't find yourself caring too much about the non-regulars. The one interesting character is Gelvert, but he gets killed off fairly early on. 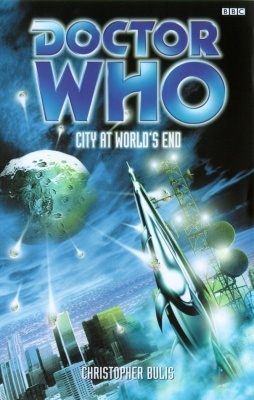 City at World's End is one of those rare novels that takes an era of the show and runs with it yet still delivers a novel that wouldn't seem out of place on the screens at the time. You can't accuse Bulis of writing a novelisation; City at World's End is a novel well within its own right, yet it feels so familiar it could be. It has a very solid story, brilliant characterization of the regulars and is an absolute joy to read. Top notch stuff.